Starting January 2nd, Atelier Monnier – The French Bakery – will be offering the best Galettes des Rois, or King Cake, in anticipation of the celebration of Epiphany, on January 6th. 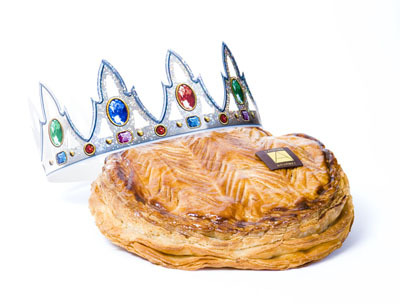 The Galette des Rois is made of layers of puff pastry filled with frangipane or almond cream and serves 6 to 9. You may order your Galette des Rois during the whole month of January 2016. Pair the Galette des Rois with our Willm, Blanc de Blancs d’Alsace to feel in heaven! Buy one galette and one Bottle of Blanc de Blancs and save 10% on your wine purchase!